Voice of Gaia: Francesca Genco, Virtual Vocalist from Soundiron. After Bryan Lane, Soundiron called mezzo-soprano Francesca Genco for its new series of Voice of Gaia libraries for Kontakt. Francesca Genco is specialized in Mediterranean, Middle-Eastern and Asia music styles, and Soundiron captured her voice in studio with large diaphragm Neumann condenser microphones and Sound Devices preamps in order to create a 6.7GB library featuring 8300 samples, multiple articulations and melodic elements. You’ll find true legato “Ah”, “Oo”, humming “Mm”, sustains, staccatos with 8 round robins for the different vowels and dynamics, that you can play on two octaves on your keyboard. Melodic phrases are organized by tempo and key, and you’ll find in Kontakt multiple controls, including time stretch, tempo sync, step-sequencing, legato blend, transpose as well as real-time sound shaping tools, with an effect rack featuring compression, EQ, amp/cab simulation, convolution reverbs and multi-effects. 39 Kontakt 5.1 instruments are included and Soundiron adds that the 24-bit / 48kHz Wav samples and Kontakt presets are unlock so you can customize them. 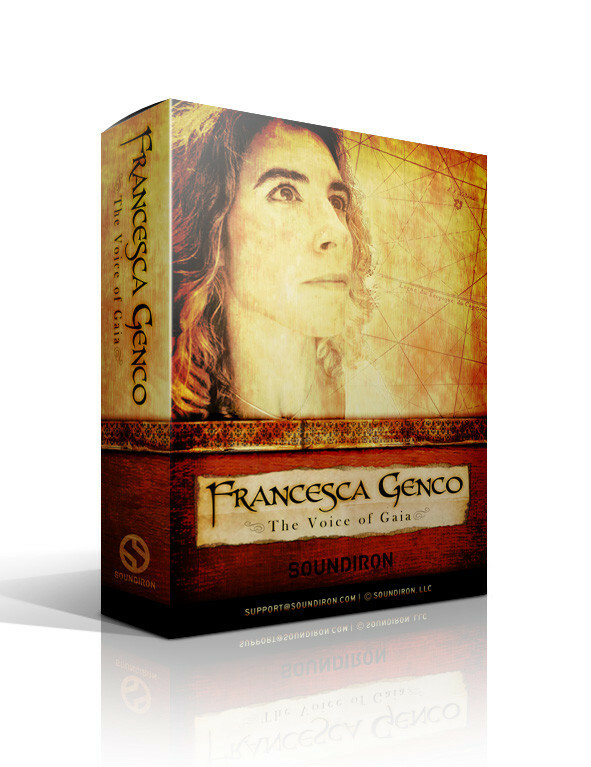 Voice of Gaia: Francesca Genco is available for the introductory price of $99 instead of $139 and the 12 first customers will have the privilege to get the very first Soundiron Premier Edition that will open the doors of Francesca’s studio in Berkeley, CA for a two-hour live recording session. You can direct the session in real time via Skype or telephone, or previously send her sheet music or ideas of what you want her to record. After the session, you’ll receive the raw files via FTP and will have full copyrights. Soundiron says they are planning to organize more Premier Editions of this kind, visit soundiron.com (Premier Edition tab) for more info. Hofa launches its IQ-Limiter Hofa Plugins had announced last December that they were preparing a new mastering limiter, it is now available. Aly James releases the OB-Xtreme VSTi Aly James Lab announces the availability of the new OB-Xtreme VSTi synth inspired by the legendary Oberheim OB-X. Final Touch v1.1 supports the AAC format Positive Grid and the Apple developers worked together on a new Final Touch version that includes AAC audio preview.